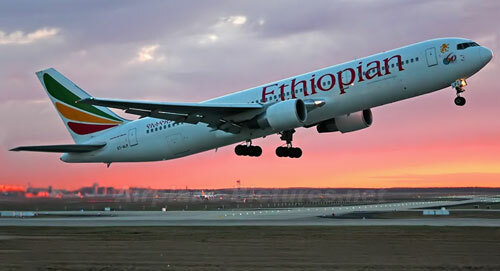 The International Telecommunication Union (ITU) has mourned the loss of two ITU staff members who died Sunday when an Ethiopian Airlines flight crashed shortly after taking off from Ethiopia’s capital, Addis Ababa. TheNewsGuru (TNG) reports Ms Maygenet Abebe and Mr Marcelino Tayob, who worked for the ITU Regional Office for Africa, based in Addis Ababa, were involved in the crash that claimed over 150 lives. Abebe and Tayob were on their way to attend the ITU Steering Committee of the Center of Excellence in Nairobi, Kenya. The Centres of Excellence (CoE) programme aims to support capacity development in the field of information and communication technologies (ICTs) by offering continuous education to ICT professionals and executives in the public and private spheres through face-to-face, online or blended learning. “The ITU family joins the broader UN family in mourning the loss of two of our colleagues who gave their lives to improve other people’s lives through the use of information and communication technologies. “We are deeply saddened by this tragedy, and our hearts go out to their families and friends,” said ITU Secretary-General Houlin Zhao. Tayob, a national of Mozambique, worked as a senior advisor at the ITU Regional Office for Africa in Addis Ababa. He joined ITU in 1997. Abebe, a national of Ethiopia, worked as an administrative assistant at the ITU Regional Office for Africa in Addis Ababa. She joined ITU in 2010. “Maygenet and Marcelino were committed and dedicated staff who worked hard to increase the impact of ITU’s work as the regional offices expand their initiatives in the region. “They touched our lives as colleagues and friends. They will be sorely missed, but never forgotten. The contribution they made will live on in the work we do every day,” said Doreen Bogdan-Martin, Director of ITU’s Telecommunication Development Bureau. Andrew Rugege, Director of the ITU Regional Office for Africa said, “The work that Maygenet and Marcelino did everyday was crucial to the success of ITU’s work in the region.